Fiction. Short Stories. Women's Studies. Following her acclaimed novels Clown Girl and The Stud Book, Monica Drake presents her long-awaited first collection of stories. 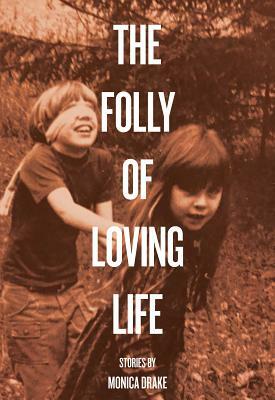 THE FOLLY OF LOVING LIFE features linked stories examining an array of characters at their most vulnerable and human, often escaping to somewhere or trying to find stability in their own place. These stories display the best of what we love about Monica's writing the sly laugh-out-loud humor, the sharp observations, the flawed but strong characters, and the shadowy Van Sant-ish Portland settings. "What can I say about Monica Drake's stories? They are brilliant, sure. They are hilarious, yes. Each one is a marvel. But more importantly-they are raw and awake and full of life. At the center of each one is the bright beating heart of what literature can be: Relevant, unusual, entertaining, fascinating, unique. These are not characters-and Drake's is not a voice-that you can ignore or forget. "—Pauls Toutonghi.